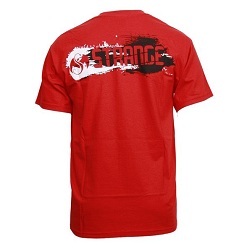 Hold it down for the King Of Darkness in this seriously twisted Tech N9ne Red Flying T-shirt. 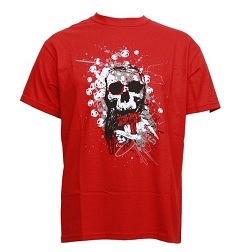 One of Tech’s more unique shirts, it features a gritty street inspired skull design complete with Strange Music emblems on the front. The back features a bold STRANGE logo that is sure to turn a few heads. Click here to purchase your very own!